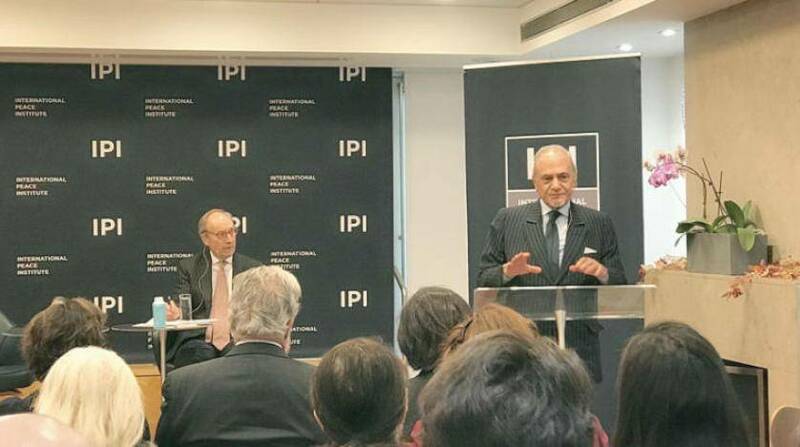 Prince Turki Alfaisal was a guest of the International Peace Institute in New York on Friday, November 9, 2018. His Highness addressed a number of diplomatic, political, cultural and media figures as part of the Institute's programs that host world leaders, thinkers and speakers. During his speech, Alfaisal stressed that the Saudi authorities are working hard to determine the circumstances of the murder of Jamal Khashoggi and will put all the facts on the table before the local and international public opinion, pointing out that the judicial system in the Kingdom is fair and reputable. He explained that Saudi Arabia is doing what other countries do in this regard, including the United States, which conducted investigations after abuses at Abu Ghraib prison and violations by CIA staff. "The kingdom will not try to hide the truth," he said, stressing that the final report "will determine exactly what happened and will answer all those questions that are being predicted."